Flippers are an evolutionary adaptation that allow aquatic and semi-aquatic animals to swim long distances while using less energy. Flippers can be likened to the oars in a boat. You use the flat side of the oar to move the boat along. The flat side covers a greater surface area and is able to push more water, which, in turn, moves the boat forward. Flippers work in the same way. Most people know that penguins are one of the few flightless birds in the world. 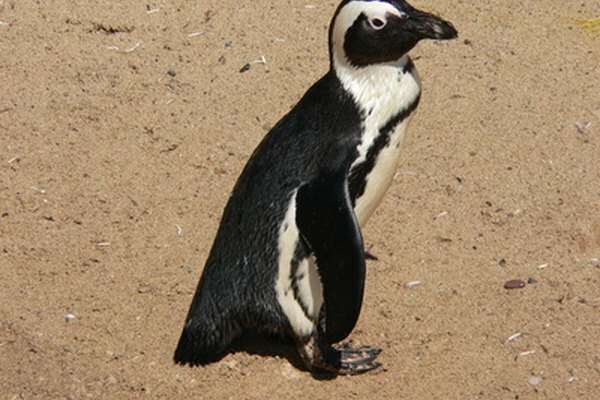 What you may not know is that the penguin can't fly because it has flippers rather than wings. The penguin uses its strong flippers and streamlined body to torpedo through the water, escaping any dangers that may be lurking (sharks and whales, for example) or catching up to a school of fish for a quick meal. This adaptation makes the penguin unique in the bird world. Sea lions are massive marine mammals that can grow to 600 lbs. They can be identified by their four individual flippers and brownish coloring. 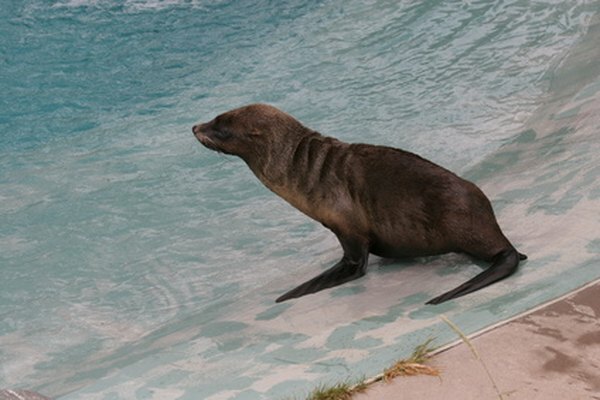 The sea lion is often confused with the seal, another marine mammal with flippers. There's an easy way to distinguish these animals. 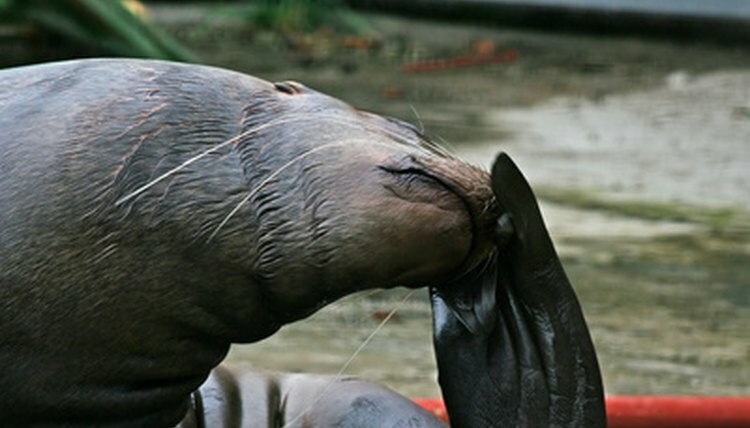 Sea lions have "ears" and seals don't. The name "eared seal" is derived from this fact. The most popular dolphin in the world is still Flipper. 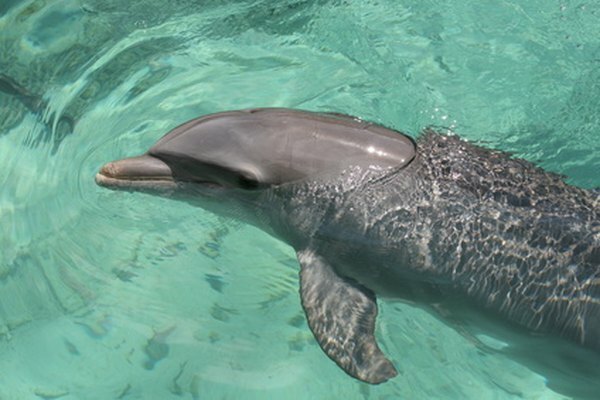 That dolphin got its name from a characteristic all dolphins share: they all have flippers. The dolphin is actually a member of the whale family and is closely related to the porpoise. The dolphin can be identified by its long mouth. The porpoise does not have any distinct mouth in that it does not protrude out like a beak. It is much more like a whale's mouth. Dolphins can be found in nearly every major ocean and even in some major rivers around the world. Whales are warm-blooded animals that come in all different sizes and varieties. 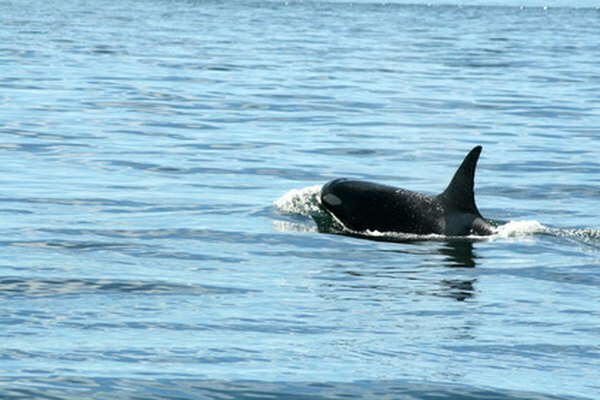 One of the most famous whales is the killer whale. The killer whale was most famously represented in the film "Free Willy" and is the whale of choice in aquatic theme parks. Whales smaller than the killer whale include the sperm whale and the pilot whale. The largest animal in the entire world is the blue whale. Regardless of size, all whales use their flippers to move about the ocean. The only difference is how much weight those flippers have to move around.